Hi everyone and welcome to week 26 of Christmas inspiration with Art with Heart Stampin'Up! Team Australia. Wow!! 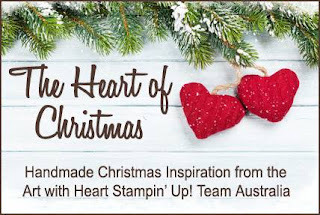 how fast has this year gone only one week to go in this series of 27 weeks of Christmas, haven't all the cards been amazing, so much talent which has hopefully inspired you to try making them yourself. For my card I went for the 2 colour pastel theme which is one of my favourites, traditional colours are another. 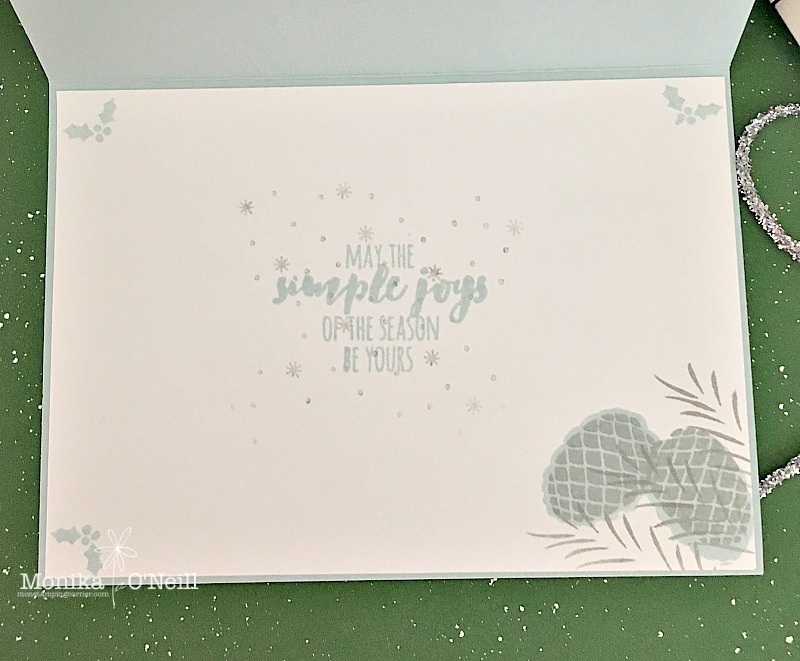 The base is Soft Sky and the mat is Whisper White, I used Dazzling Diamond Glimmer Paper and Silver Foil Sheet paper for the pine cones and leaves and used the Christmas Pines stamp set to make the completed card, I stamped the stars and sentiment in Soft Sky and sponged around the edge of the sentiment. The shaker bauble base is soft sky and dazzling diamond glimmer paper for the top, I used the round stitched circle framelits. The sequins are from my stash (I love sequins so have a big collection) and I love anything shaker style. I used the silver mini tinsel trim to hang the bauble and silver foil paper for the bow. To finish off I used medium sized Rhinestones. The inside the card I used Smokey slate for the stars and pine leaves and for overlay of pine cones. Hope you enjoyed this weeks card. 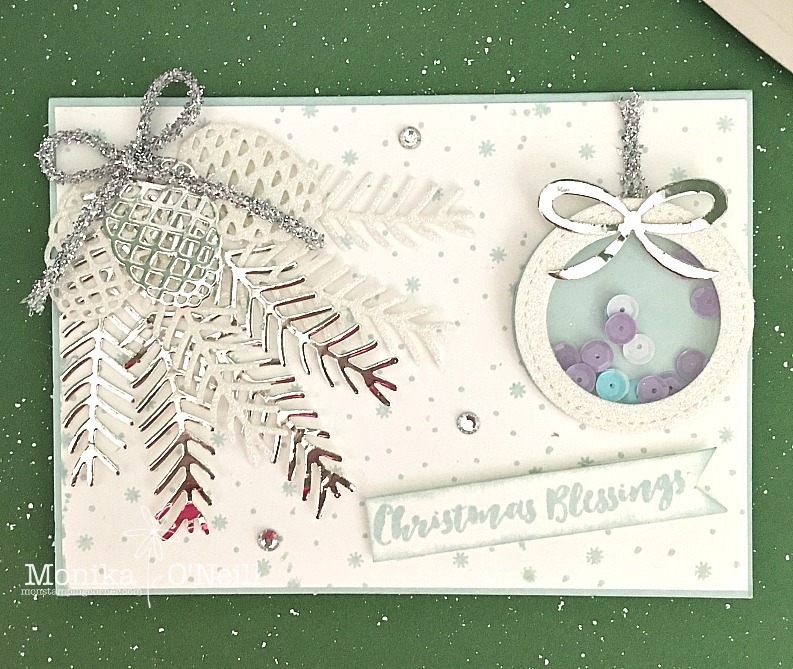 To see more beautiful inspiration from our very talented ladies you can view all our participants on the lovely Claire's blog Have a great week and will see you again next week with some more great cards.